The wind is always blowing on Alaska’s North Slope and on this particular day it was in rare form, buffeting the Tacoma and reducing visibility to a few meters. 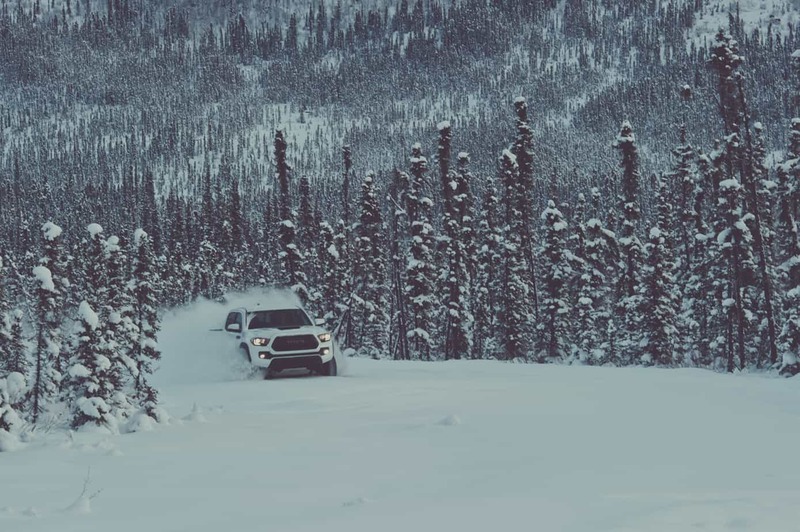 It was the middle of winter, the temperatures were well below zero, conditions unforgiving, and we were testing the new TRD Pro on the Dalton Highway. 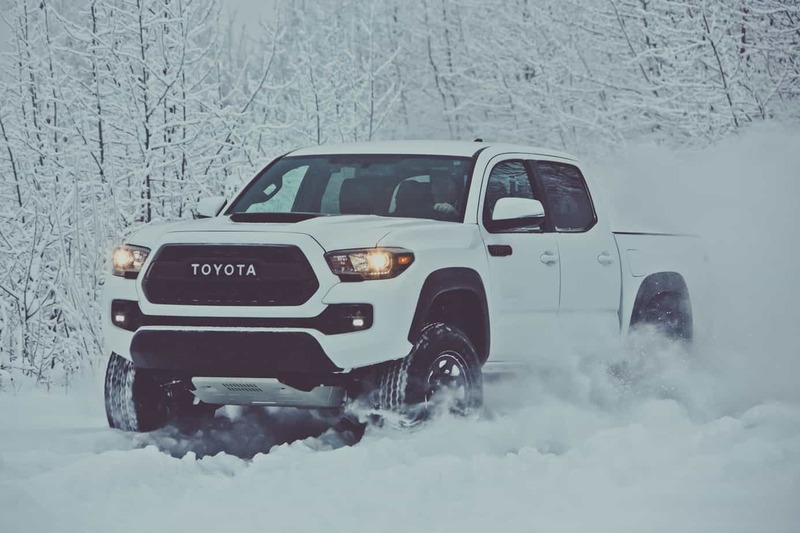 With each gust the snow piled higher against the shoulder, filling the road with massive drifts that pounded the suspension, jerking the truck up and sideways. We had safely arrived in Prudhoe Bay, but as any overlander knows, reaching the summit (or in our case the Arctic Ocean) is only half of the battle. The Dalton Highway haul road was constructed in the 1970s to provide access to substantial oil reserves along the North Slope. 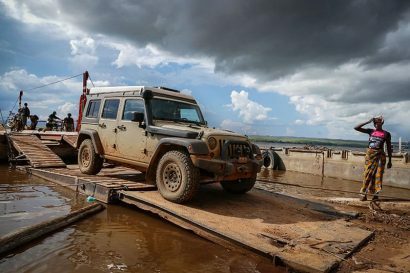 The route is 414 miles long, starting just north of Fairbanks and ending at the Arctic Ocean; the track is mostly unpaved and only has one reliable fuel stop along the way at Coldfoot. This tiny outpost is surprisingly comfortable given its remoteness: hot and tasty food is served on vinyl counters, and it’s the only place you can buy a beer in the otherwise “dry” region. Further north, the topography is interrupted by the Brooks Range, mountains that stretch 600 miles from Canada’s Yukon Territory into Alaska. This geologic divide is interrupted only by a track over Atigun Pass, made famous by its avalanches, whiteouts, and runaway semi-trucks. 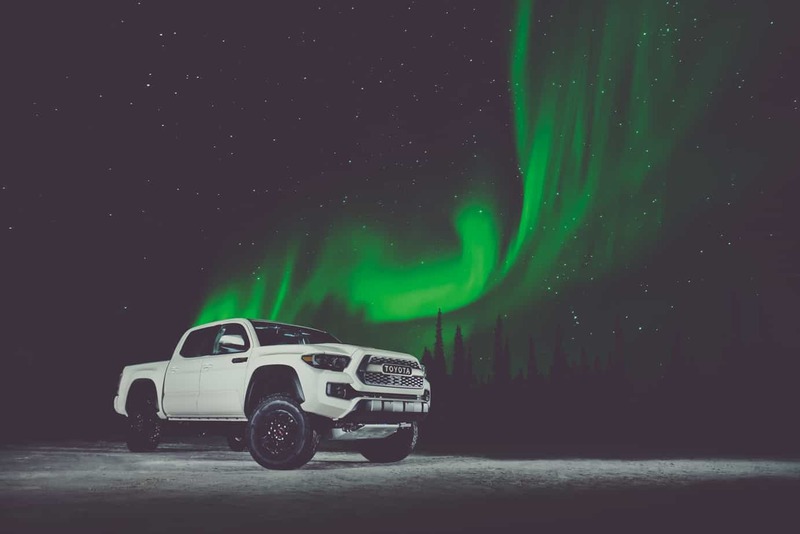 Our team consisted of motocross legend Andy Bell, Baja and rally racer Ryan Millen, along with me as the expedition “consultant.” The goal was to drive a completely stock Toyota Tacoma, 4Runner, and Tundra in the dead of winter to the northernmost accessible road in the Americas. 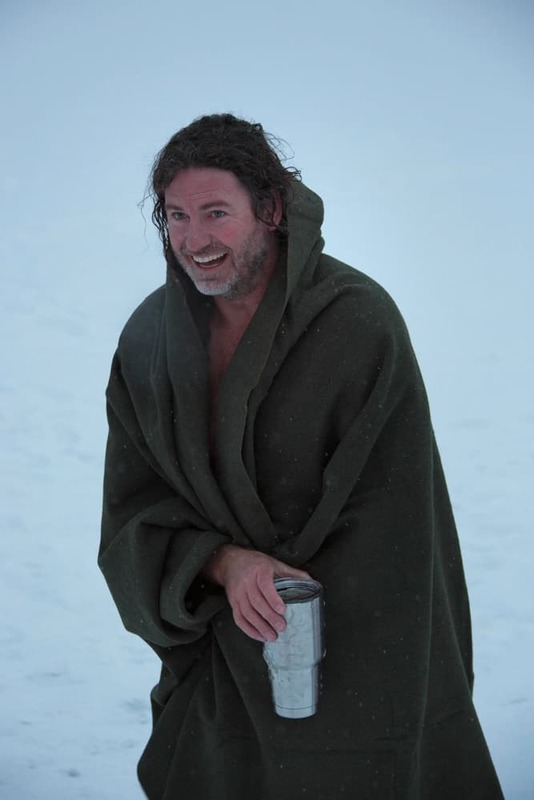 Even with temperatures below -40°F, we didn’t even change the oil to a winter weight or plug the vehicles in overnight. We had two additional TRDs along and a group of hardy adventurers to document the experience (including Sinuhe Xavier as director). 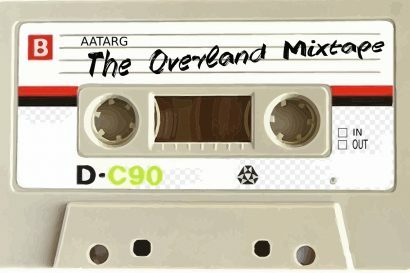 This trip was particularly special to me, as almost a decade earlier I had driven my own Tacoma to the Arctic Ocean in winter—one of the first adventures for the Overland Journal team. 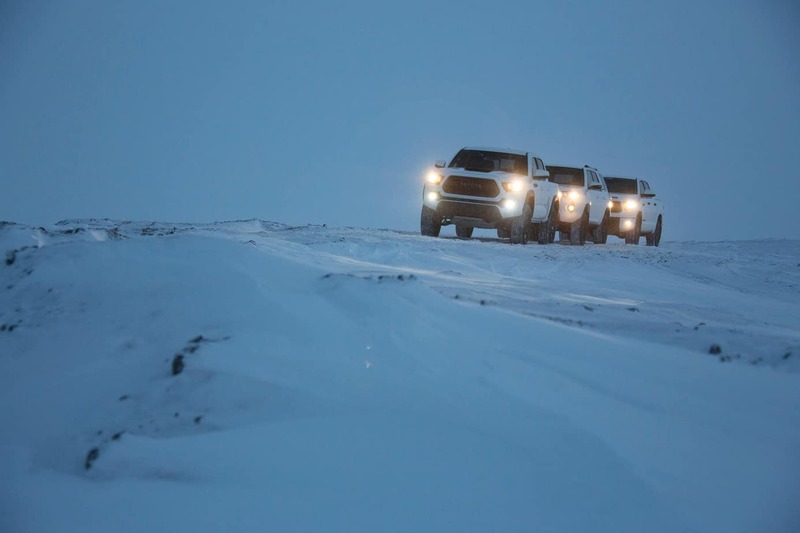 Follow along as I share our Arctic Challenge through the lens and from behind the wheel. Most travelers experience the Dalton Highway in the summer, but winter reveals a beauty and wildness absent during high-traffic periods. 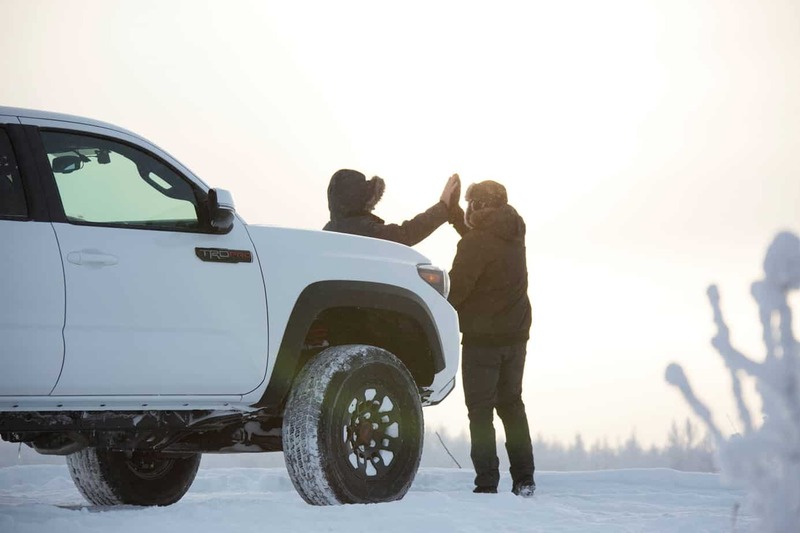 Andy and Ryan high-five at the shore of the Tanana River displaying a camaraderie within the team. 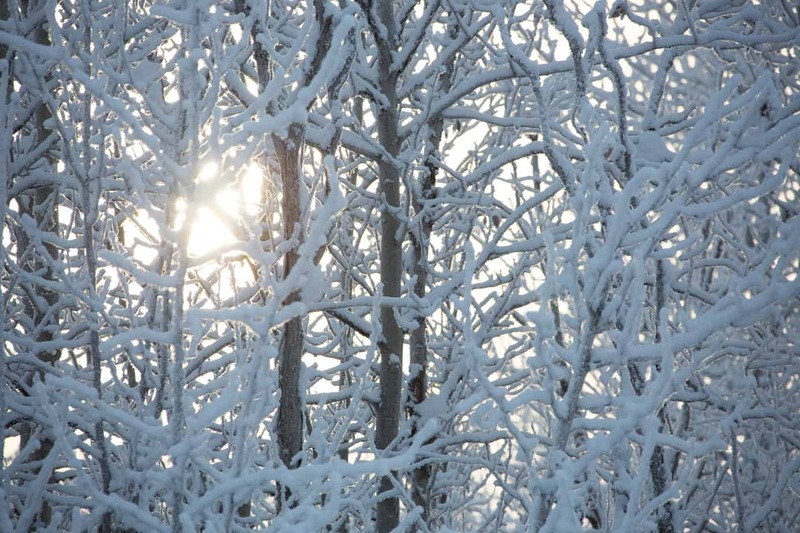 Even in early winter, dust can impair visibility and linger for hours. When backlit by the setting sun, it feels otherworldly. 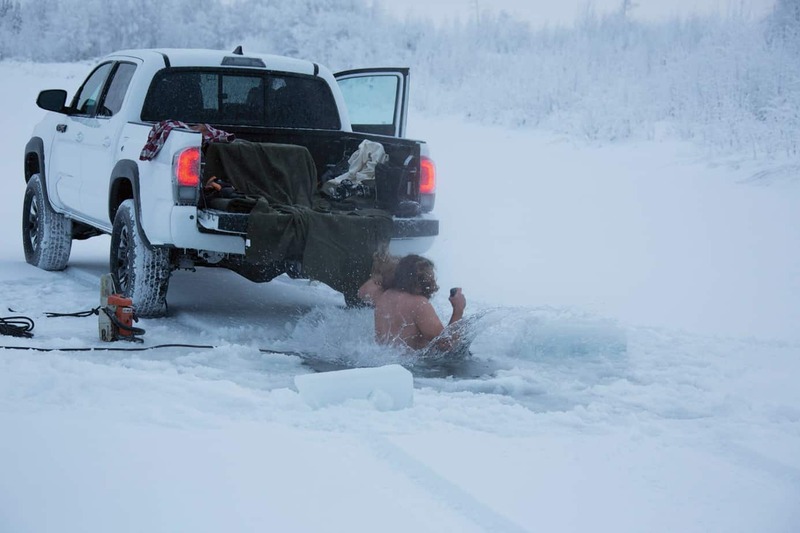 Dependability is important, especially in the Arctic’s unforgiving terrain. When it is -30°F, we all want our vehicle to start and keep running…no matter what. Every bad idea starts with a great one. 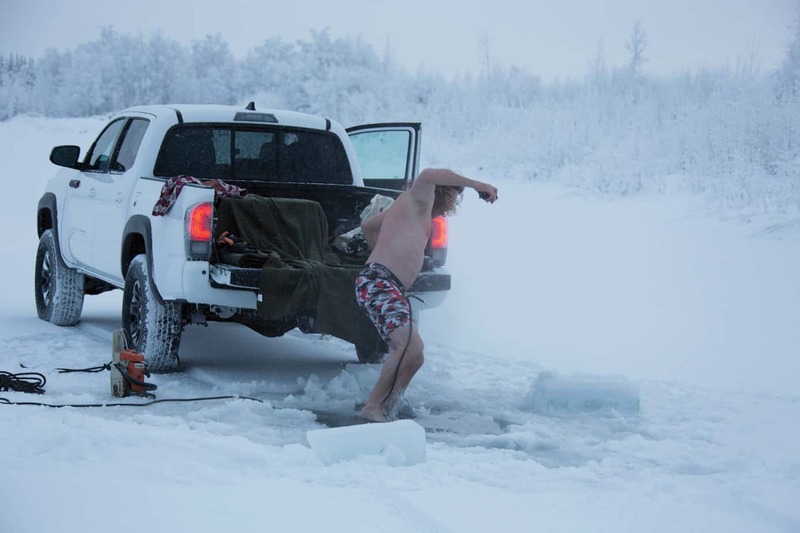 Ryan and Andy placed a bet on who got to drive next—the loser was to jump into a frozen lake. 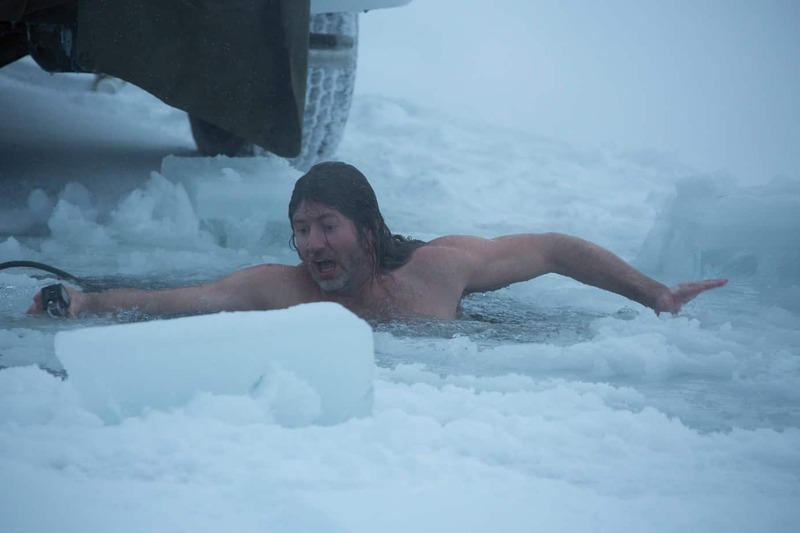 The sane members of the team watched from a distance as Andy cut a hole in the foot-thick ice and jumped in. The look on his face as he returned to the surface will not soon be forgotten. Around 2 a.m. near Coldfoot, we woke to an aurora: a brilliant display of green, wisping across the night sky. 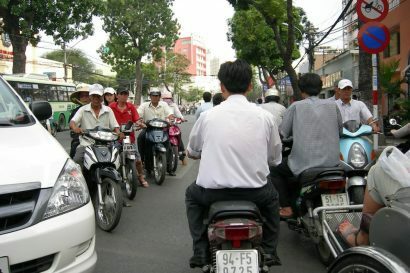 We were in awe, and the only sound to be heard was the shutter of cameras. The days are short above the Arctic Circle. 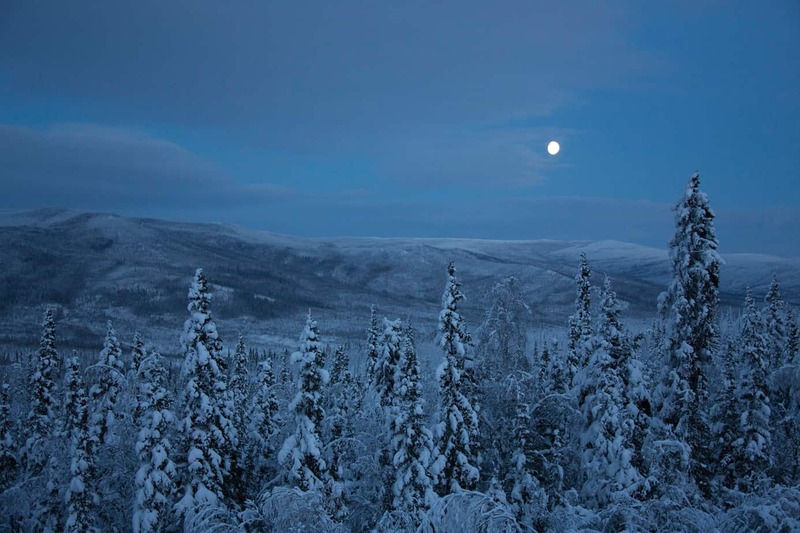 The moon rose at only 5 p.m. this day, settling over the black spruce that lined the horizon. The snow silently crushed beneath our tires as we made our way along the vast, barren landscape.